Give your candy canes some personality with the adorable In the Hoop Stocking Candy Cane Holder! Sure to brighten anyone's holiday! 5x7 contains 2 mice and 6x10 contains 4 mice designs for simultanous stitch outs of multiple designs. 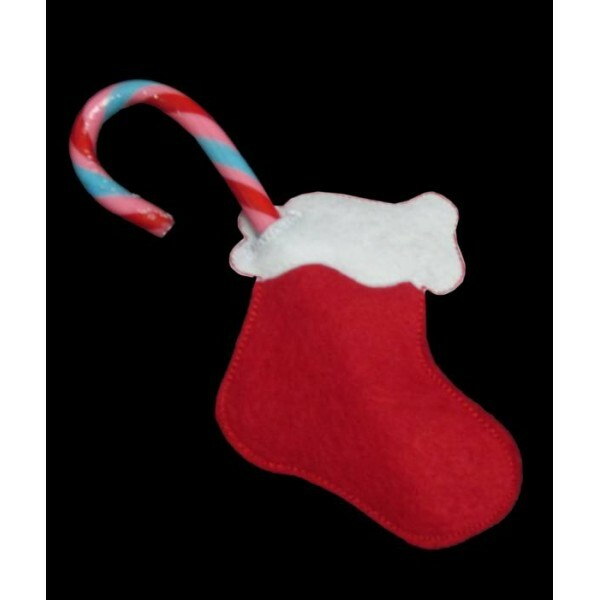 Give your candy canes some personality with the adorable In the Hoop Mouse Candy Cane Holder! Sure to brighten anyone's holiday!